WOW! We had a great response to our first challenge! Thank you all for joining us! Our first technique challenge was Blown Ink & the ladies below nailed it! Carol Parcell & Angie Jones! 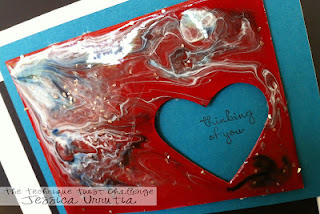 Blog Hop Winner: All entries that posted on the challenge post as well as each DT's post for Blown Ink were numbered and a number was randomly selected by random.org. Now onto our next challenge! We're so excited you are joining us today! Our goal at TTC is to push the boundaries. Twice a month, we give you a technique along with our own ideas & want to see you what you create to take that technique to the next level. 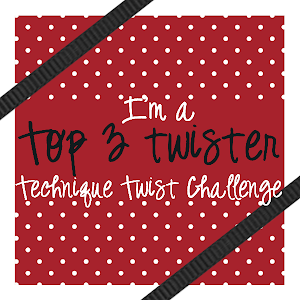 Twisted Challenge #2 is the Rolled Quartz Technique. If you've never used this technique, here's a great tutorial from Anne Hayward. You'll need to give this some drying time prior to playing with it (a few hours) but it produces SUPER COOL results! The bigger challenge is how you can take this up a notch? Jessica - Her Twist? Core'dinations cardstock in Cherry Coobler instead of aWindow Sheet! Julz - Her twist? Foil tape swapped for the Window Sheets then she embossed with Chevrons! Lauri - Her twist? 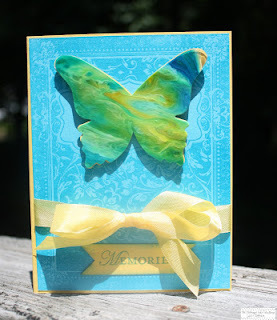 Diecut Butterflies! Leena - Her twist? Whisper White cardstock swapped for the Window Sheet! Pam - Her twist? A plastic packaging box she punched with a butterfly then turned it into a necklace! 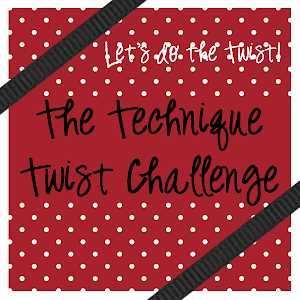 Link up below with your creation & tell us how you twisted the technique by July 11, 2013 at 1159p. Click HERE for our challenge guidelines. If linking up through SCS, use TTTC02 as your keyword. Challenge winners will be announced with our next challenge on July 15! I Love all the projects ladies! Hey Julie...I can't find an email from you with my badge and would really like to put it on my blog to help promote your site. If it is not too much trouble, could you please email the badge to me again. Thanks for your trouble! Love your new challenge site! Thank you for showcasing the Quartz Technique. I've been busy playing with the Blown Ink Technique. So sorry I didn't find the challenge before it closed. Looking forward to playing with the Water Stamping Technique. Thank you so much for your inspiration!